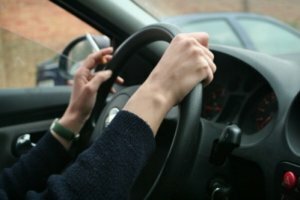 The move announced by the government for smoking to be banned in cars which have children as passengers in England and Wales, set to be introduced in October, may now potentially also be followed up upon by the Scottish government. The smoking prohibition (children in motor vehicles) (Scotland) bill put forward by Liberal Democrat MSP Jim Hume, has already received backing by the Scottish government, and it is hoped that the bill will receive Royal Assent before the next Holyrood elections in May 2016. Currently, the bill has been proposed to cover all motor vehicles, though exceptions such as convertibles cars with the roof down may be made in the future, following the suit of the existing England and Wales bill. The news was highly welcomed by chief executive of health and anti-smoking charity ASH Scotland Sheila Duffy, who says that the bill has the potential to protect thousands of children from second-hand smoke. Currently, over 60,000 journeys are made per week in Scotland where drivers smoke whilst children are also in the car. So far, in England and Wales, the ban does not cover e-cigarettes, which contain less harmful chemicals in comparison to cigarettes, and so are thought to be less harmful to children inhaling the second-hand vapour. It will be interesting to see whether the Scottish government also takes this approach, and whether they condone using e-cigarettes while driving as a healthier alternative to smoking. If you’re thinking of making the switch to e cigarettes, visit the OK E Cig online store, which has a wide range of rechargeable e cigarettes, accessories, refills and UK e liquids for sale.